Would you believe that ripped jeans of the 1990s are simply harking back to the 16th century? For a brief period, it was the height of fashion to ‘pink’ or slash luxury fabrics to create pattern and to reveal yet another fancy fabric underneath. That’s where the term pinking shears comes from, although they appear somewhat later. Cutting a decorative edging to cloth goes back considerably earlier too; in the 15th century some garments were finished with the fine, felted (fulled) wool cloth cut into decorative patterns resembling oak leaves and other shapes. Amongst the wealthy and fashionable, it was also de rigeur to have sleeves of the upper gown cut open to reveal another, fancier fabric beneath, or even a fine linen shirt or smock. This style reached its peak in the late 15th and early 16th century among the Landsknecht mercenary soldiers of Switzerland Germany who favoured ridiculously over-decorated clothings covered in slashes revealing bright coloured garments beneath and started added additional linings just to show through. 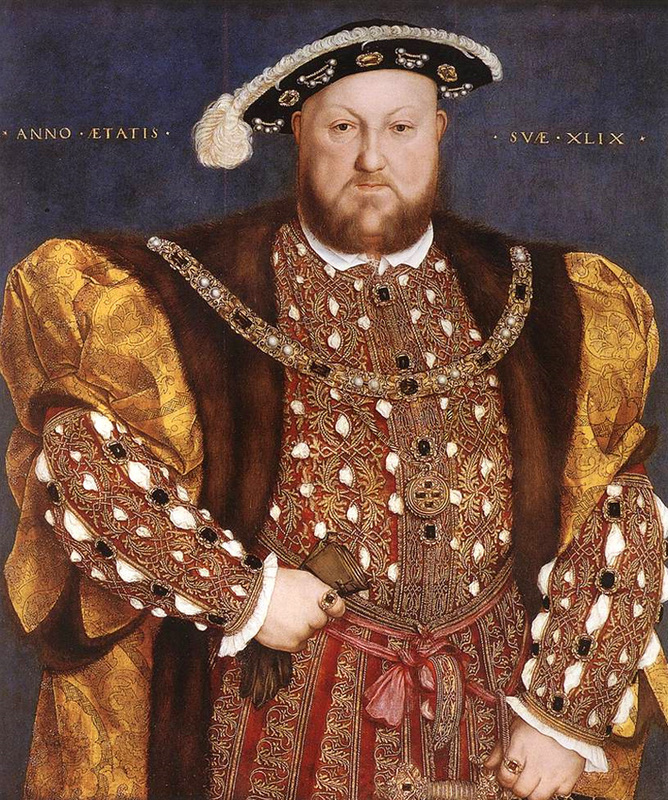 The slash and reveal style made it to English style, with Henry VIII often depicted wearing garments with slashing to show the variety of luxury silks he wore and the decoration could be on any thing from shoes to codpieces. A rare early 17th century men’s suit now in the V&A is made of silk covered in tiny cuts on the bias, interspersed with stamped decoration – the silk was embossed using a heated metal tool. The cuts were probably made in a similar way, with a sharp chisel-like tool pressed onto the fabric on top of a lead block. Find out more about it in this audio clip. Slashed garments appear occasionally in the 19th century – there’s nothing new about looking back – but it then pretty much vanished until the punks started ripping and slashing their garments in the early 1980s. Slashing and cutting the surface of fabric is now a more decorative technique used in textile art and quilting rather than fashion, more’s the pity. Textile artists have been using Stitch & Slash for many years, to create layered decorative finishes. In some forms it is known as faux chenille as when washed or brushed the cut edges create a fluffy finish, popular with quilters. Karina Thompson refined the technique more recently to create large-scale artworks using subtly-toned fabrics. Helen Amy Murray, a textile designer working with luxury upholstery, developed a technique at University to pad, stitch, and slash leather and other luxury materials to create raised effects for use on furniture, similar in effect to stitch and slash, but with a more complicated design. I’ve interpreted this technique and described it in my book, called cut surface quilting and have used it myself to create geometric designs loosely inspired by traditional square patchwork quilts (left). A version of this post originally appeared on Mr X Stitch for my monthly column on historic and contemporary textile techniques, Pinning the Past.